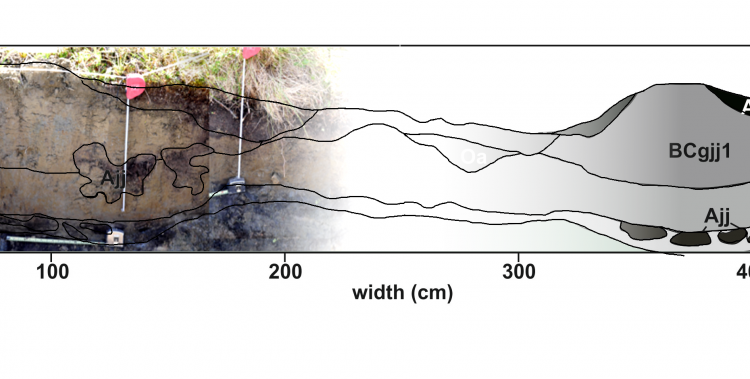 Arctic permafrost soils contain twice the amount of carbon than the atmosphere. These huge carbon stocks are potentially highly vulnerable to climate change. The CryoCarb Project is an international science project including several researchers from Europe and Russia. Our main goal is to advance organic carbon estimates for cryoturbated soils focusing on the Eurasian Arctic and to understand the vulnerability of these carbon stocks in a future climate. Our vision is to use this knowledge to improve existing models to better predict the response of cryoturbated soils to future climate conditions. In my PhD thesis, embedded within the CryoCARB project, I was particularly interested in the interactions of soil organic matter properties,microbial community composition and enzyme activities in cryoturbated Arctic soils and along a latitudinal transect in Western Siberia.